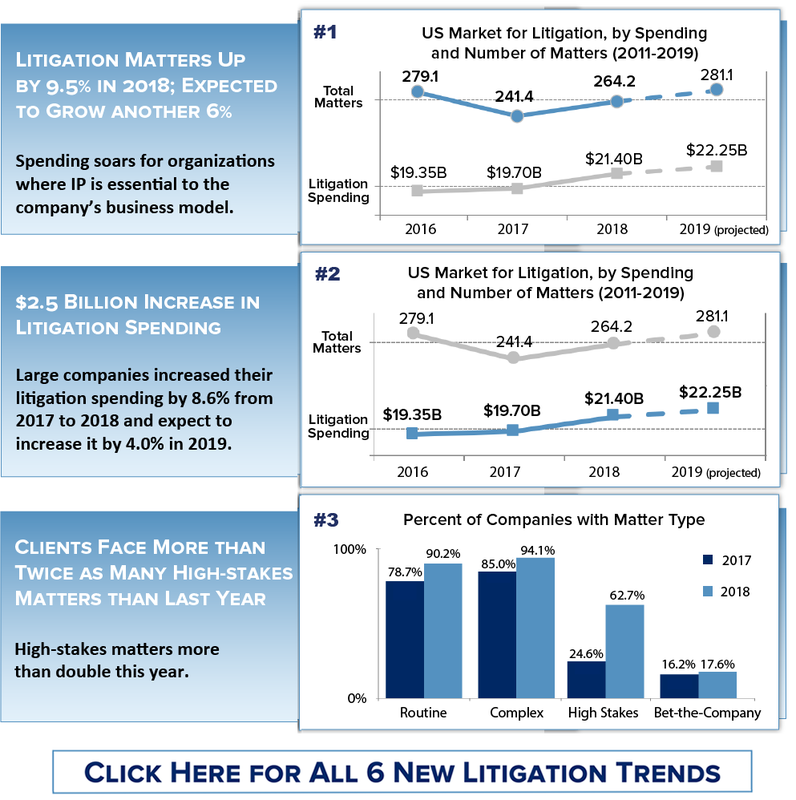 BTI’s 8th annual series on trends in the litigation market uncovers how client behavior—and spending—is changing in 2019. BTI’s Litigation Outlook helps you identify clients’ newest needs and walk you through how to provide solutions before your competitors realize the same opportunities exist. Winning new work in today’s litigation market requires a deep understanding of how clients’ demands and expectations are changing so you can position your firm in the areas with the most opportunity.